World peace happens one heart at a time, and begins with each of us. 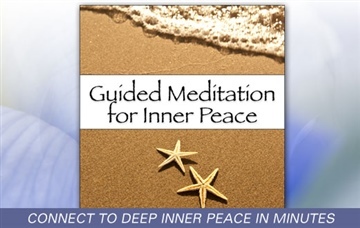 Use this gentle guided Meditation for World Peace to heal within, become more peaceful, and make the world inside you — and outside you — a better place. 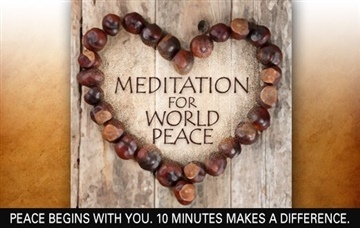 Over 36,000 people have enjoyed this guided meditation! Max Highstein is a multi-gifted intuitive counselor and facilitator, as well as a bestselling author and music composer. He has authored over 100 programs and courses on personal growth, spirituality, and wellness, including the entire catalog offered here at The Healing Waterfall website. His guided imagery programs, most notably The Healing Waterfall, are some of the most popular and influential programs of their kind. His work helping people access their intuition and connect to key spiritual figures has been ground breaking. Max’s instrumental music was at the forefront of the new age music movement of the 1980s. His music has been heavily featured on radio stations all over the world, and is especially well appreciated in healing offices, treatment rooms, and medical centers around the United States. He continues composing and producing music today. Max Highstein holds Masters Degrees in both Counseling Psychology and Spiritual Psychology. Drawing upon over 40 years of study and training in psychology, spirituality, and the intuitive arts, Max Highstein also has an active practice offering personal sessions and workshops for Intuitive Guidance and Spiritual Support. He often incorporates spontaneously composed guided meditations to help clients explore their inner landscape, release the past, and access higher energies and information. "My son has been requesting your world peace mediation. We just did it and he fell asleep in my arms."